Profhilo® is an effective and natural looking non-surgical facelift treatment. It is a new discovery in facial ageing addressing skin laxity, not just filling lines and wrinkles. Made of 100% Hyaluronic Acid (HA), it nourishes dermal cells and restores firmness of the skin. This treatment will hydrate your skin from the inside out, getting rid of any 'crepey' skin and reducing wrinkles. The pictures above clearly demonstrate how efffective Profhilo can be. Profhilo is an injectable anti-ageing treatment made from hyaluronic acid for skin that is losing its elasticity and firmness with age. Profhilo is the first BDDE-free stabilised injectable HA based product for treating skin laxity. With one of the highest concentrations of HA on the market (64mg / 2ml). It not only boostd and hydrates the skin, but also remodels the ageing and sagging tissue. Profhilo is a great standalone treament or combination with other aesthetics treatments, such as Botox. Profhilo lasts approx 28 days in the skin. During this time it stimulates 4 different types of collagen and elastin by the slow release of HA. The stimulation results in significant tissue improvement. 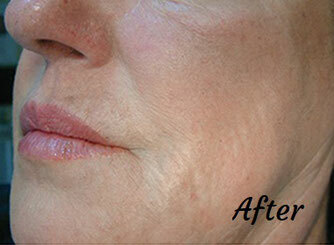 Profhilo has a significant tightening / lifting effect on the skin tissue. 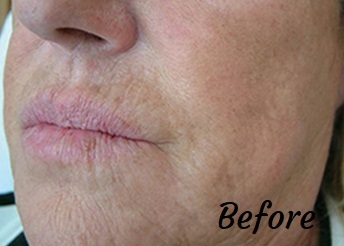 Profhilo is not a dermal filler or bio-revitaliser. Profhilo has opened up a new injectable category, bio-remodeling. Thermal cross-linking changes the character and behavior of the HA resulting in the formation of co-operative hybrid complexes which modulate the tissues. This is also the explanation for the different biological behavior with respect to H-HA and L-HA alone. One of the main advantages is longevity. Hybrid cooperative complexes have proven to be very stable with natural hyaluronidase (BTH) digestion when compared to H-HA, widely used in biorevitalisation products, or L-HA alone resulting in the long-lasting release and the dual action of the two HA components. This dual action is ideal for remodeling skin laxity. In Profhilo, L-HA is released slowly from the HA hybrid complexes and therefore does not trigger the first inflammatory cytokines making it very biocompatible. It also increases patient comfort during and after treatment and provides hydration to the skin especially in the epidermis.